HR departments have gotten a bad rap in recent years. Many workers, managers and journalists have arrived at the conclusion that HR no longer has a clear place in business. But that misconception won’t last much longer if more HR teams assert themselves as a key contributor to workplace efficiency. Wanting to be more efficient and taking steps toward being more efficient are two different things. That’s why it’s time to stop talking about making changes and actually start making them. A great place to start is to look at the snags that might hold back an otherwise effective HR team, and then take steps to eliminate those snags. Here are seven snags to avoid if you want to improve HR efficiency. Without proper workforce planning, an organization is likely to keep hiring new people based on well-designed resumes and gut reactions. But there’s a lot more that goes into choosing the right candidates at the right time, and for the right positions. It’s crucial that every HR department understands how to do effective workforce planning. The goals are to determine the employment needs of the company, find potential employees that are right to fill that role, and hire only those who will truly make the company run more smoothly in both the short and long term. A common hurdle HR employees face is being unable to move forward with an idea or business plan because it doesn’t appear to align with those of a business’s higher-level officers. Even if you have an automated approval process to get approvals when needed, you still need to worry about getting the approvers on board. Take workforce planning as an example. An ambitious HR department could get the tools and software it needs to complete effective workforce planning. It could have months’ worth of meetings to narrow down what it’s trying to achieve. It could get everything set up to meet those goals — but then a brief glance from a business leader could dismiss it as unfitting for the organization. To nip this problem in the bud, build stronger relationships with the execs. Include them in key planning, or at least ask for their input before trying to move forward with a major idea. Since the debut of Fast Company’s 2005 article “Why We Hate HR,” HR’s entire position within a company has been largely questioned. HR employees are rarely associated with being business-savvy or much of anything beyond the people who workers go to when they have a complaint or a day to request off. Increase the team’s business knowledge. Consider holding mandatory, up-to-date business readings for all HR employees, encouraging workers to pursue MBAs and inviting in business-minded mentors. Uphold the company’s mission. Don’t allow the HR department to become passive. At every opportunity, uphold the company mission. Hold employees accountable for actions that contradict the mission, regularly remind the entire office of company goals and host activities that build team spirit. Use your performance reviews. 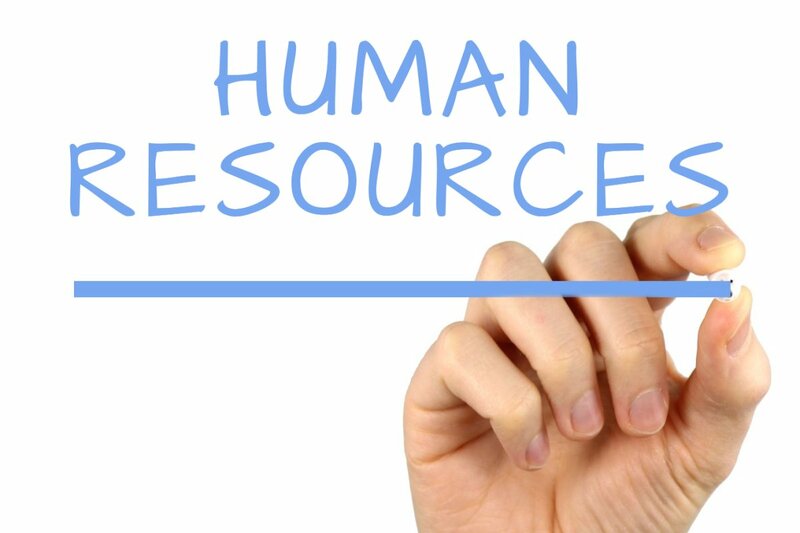 HR personnel are uniquely known for their ability to analyze, understand, empathize and interpret. Add “take action” to that list, and you go from a good listener to a business leader. Take those performance reviews, analyze them and let their data guide your next moves. Don’t let your department become another reason for workers to hate HR. Remind your team of its ultimate role in the company, and use your data, insight and communication skills to assert yourselves as a vital piece of the organization. Workplaces change frequently, and a good HR team needs to be prepared for this inevitable truth. The key is flexibility. No matter how your team is structured, and no matter where you fall within that structure, you must be flexible. Every link in the HR chain has to be. Unfortunately, being flexible is easier said than done. Once a certain routine is established, a team wants to stick with it. Individuals may like change — who doesn’t appreciate a nice break in routine? — but teams tend to panic. Once a team’s cushy routine is broken, there’s no saying what may happen in the scramble to find a new one. Change is incessant and ongoing, so it would be silly to say that you need to discuss this issue before the next change. Whether you realize it or not, the next change is already happening. But it isn’t silly to say that you should discuss effective change management now rather than later. After all, the sooner you establish a flexible team mentality, the better. One common issue that HR faces when it comes to actual, day-to-day employee interaction is having to repeat itself often. Hopefully this isn’t the case with severe inter-office issues — in which case it’s probably long past time to get rid of the problem employee. But milder offenses, like running into the same types of work-related errors, should invoke a large-scale change from HR. For instance, rather than waiting until the next performance review to dig in to the root of an inefficiency, do it now. There are countless apps that allow workers to provide one another with real-time feedback. Employees can rate one another’s performances, managers can leave notes and HR can review the data and intervene as needed. In addition to real-time feedback apps, your HR team should strive to get the entire office on board. Encourage employees to — diplomatically, of course — give one another feedback. Ask management to step up both their positive and corrective feedback. Improving efficiency is a team effort, and the whole team needs to feel safe both giving and receiving criticism. Nearly all HR departments have graduated past paper copies and into the world of electronic filing, but a surprising number of departments haven’t invested in a good HR sharing platform. HR software products, such as Namely and BambooHR, can do more than answer day-to-day employee questions about paystubs, PTO and benefits. They can help with the hiring process, the training process, the performance management process and more. Negative company culture is a little more than a snag. It could jeopardize employee retention, workplace motivation and the overall efficiency of the company’s operation. It’s vital that your HR team never allows positive company culture to slide to the bottom of its checklist. A great HR department realizes that workplace efficiency is the result of more than hard work. Employee drive, comfort and personal fulfillment are major influencers when it comes to business success. You’ll learn what works and what doesn’t in your office. As your team bonds, you can create your own methods and traditions. For instance, maybe holding regular office parties, joining a co-ed softball team or simply learning to laugh at work will improve your company culture. In the monotony of office work, people often forget that their team is composed of people — not HR drones or accounting drones or advertising drones. As an HR worker, it’s especially important to use your position to treat employees like the people they are and remind them that your department is made up of good people, too. Aim to be the HR team that employees respect and value — the team that pushes for efficiency, takes action to support and protect its workers and genuinely cares about their well-being.